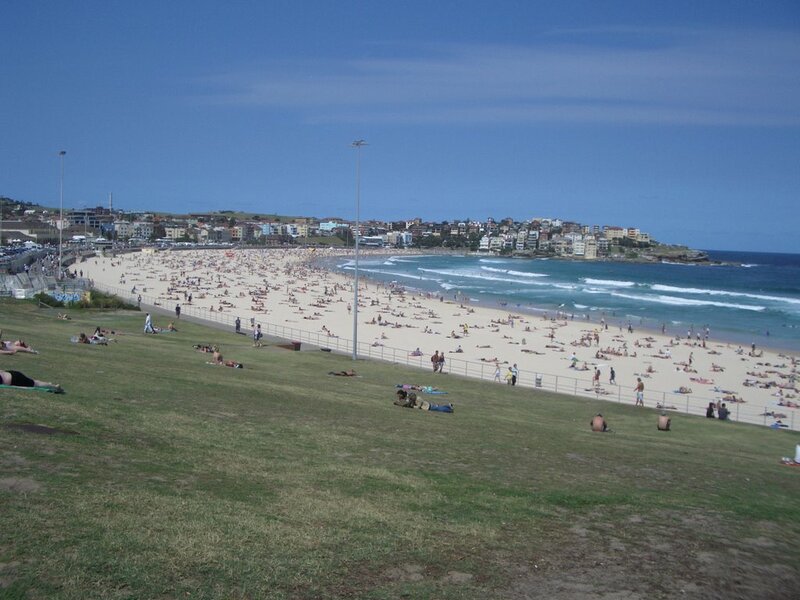 Today we took our first visit to the World Famous Bondi Beach. One of the first things that struck me was the area that it was actually in. I expected in to be stunning apartments, lavish hotels etc. I could not have ben further from the truth. Maybe that was just our exit in but the beach is certainly the best bit about the area. 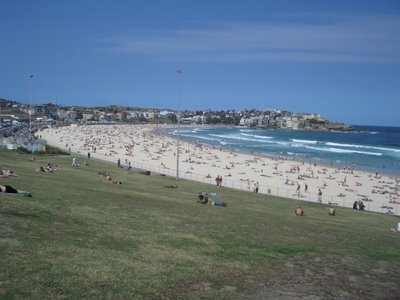 Aside of that, it is a great beach. From a distance (for example where I took the above picture from) the waves do not look too big but I have to tell you, they are, they are also pretty powerful! We both had a great time there and will certainly revisit the place again, probably on Christmas Day. Whilst there, I decided to get my hair cut (shaved is a better desription). The girl who did it was fabulous and friendly. It came as little suprise as she was Greek! Of all the places to stop, I get a Greek to cut my hair. Even more bizarre was the fact that she actually grew up in France. I start training a new group of staff tomorrow which means it will be an early night for the next few days. I have worked some pretty tough days recently and sleep seems to be at somewhat of a premium.